If you use the plugin Simple Ads Manager, you can migrate all the data from this plugin into the SAM Pro Free plugin. The data structure of plugin Simple Ads Manager is different from the data structure of plugin SAM Pro Free, thus you need to use this tool for safe migration of data. Migrate Options – force migration of the plugin settings. 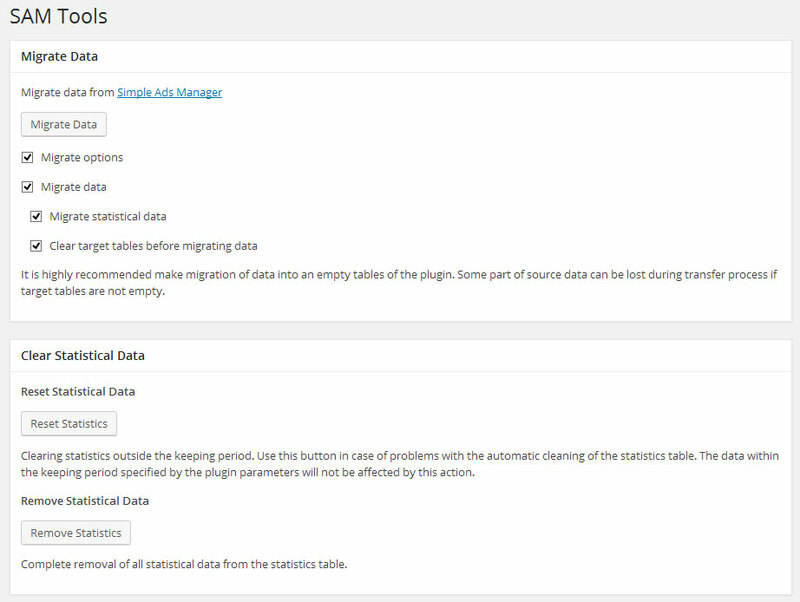 Migrate Data – force migration of the plugin main data (exclude statistics). Migrate Statistical Data – force migration of the plugin statistical data. Clear target tables before migrating data – It is highly recommended make migration of data into an empty tables of the plugin. Some part of source data can be lost during transfer process if target tables are not empty. Select options you need and click “Migrate Data” button. Reset Statistics – Clearing statistics outside the keeping period. Use this button in case of problems with the automatic cleaning of the statistics table. The data within the keeping period specified by the plugin parameters will not be affected by this action. Remove Statistics – Complete removal of all statistical data from the statistics table. © 2015, minimus. All rights reserved. If I switch from SAM to SAM Pro Free do I have to deactivate the SAM Plugin before installing the new one or should I install the new SAM first without deactivating the old one go to tools of the new one starting the migration process according to http://uncle-sam.info/sam-pro-free/sam-pro-free-docs/tools-2/ and deactivate and delete the old one afterwards. I don’t like to loose my ads and all the settings in the changing process. I haven’t found a step by step instruction to make sure that I don’t loose my ads. I would appreciate your instructions. What settings shall I take to minimize the CPU resources of my server using adsense ads mainly? It seems to work. But, My ads in the sidebar disappeared. Is there a chance to avoid this?Thanks for your answer. 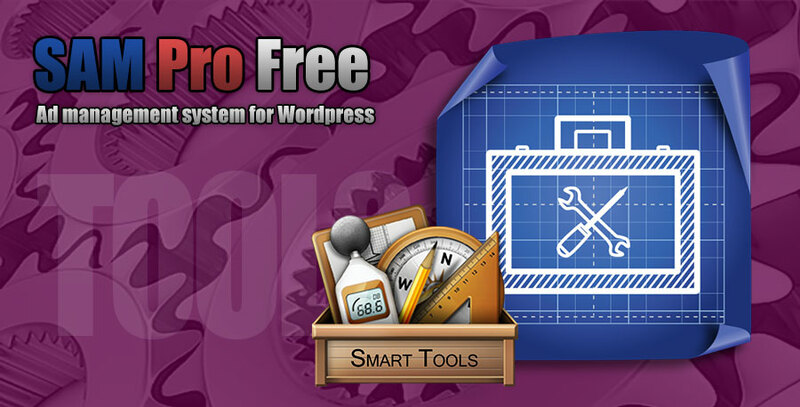 I use SAM Pro Free on my sites. 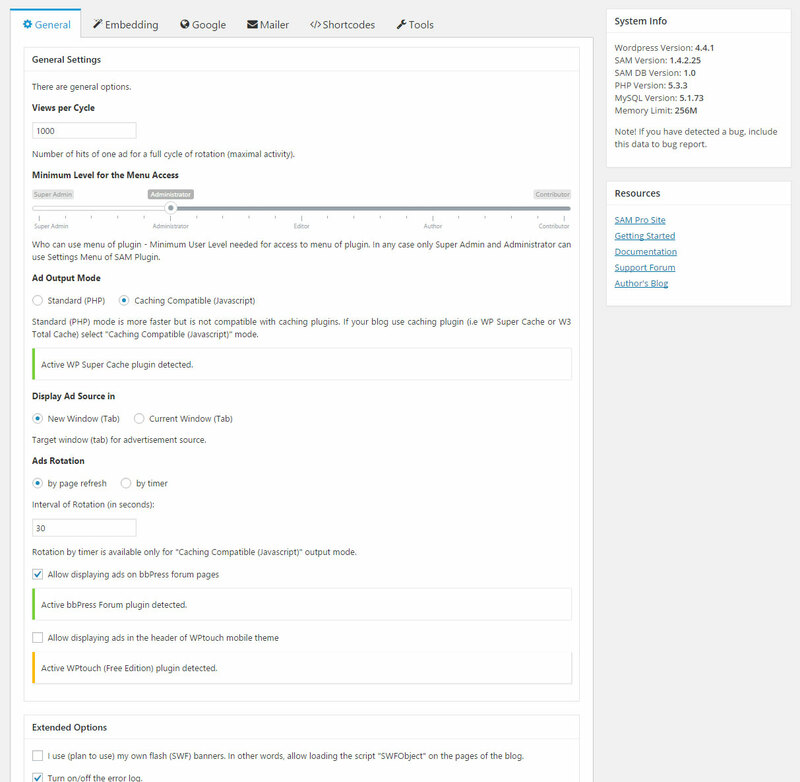 Your plugin delivers the possibility to embed an ad on WPtouch (Settings > Embedding > last option > Ad Object in the WPtouch header), but only on one of my WP sites (same theme, same php version, same plugins). How can I put it on / of? You should enable wptouch compatibility on Settings Page (Settings->General Tab -> General Settings Section). I’m using what I think is Sam Pro Lite and I know I am getting clicks and hits, but I am not seeing anything come up with my actual clicks on the stats tab. 1. Have you set the parameter “Allow to collect and to store statistical data”? 2. You look the statistics in the “All” or “For Sale” mode? When I create the 3×4 block the ads appear only in a column, how do you fix it? We are currently upgrading to the new version from Simple Ads Manager. However when I disable the old plugin the ads disappear. Can you confirm how the new template tags should be coded please? I dont see these migration tools when I go under the SAM Pro Free plugin?